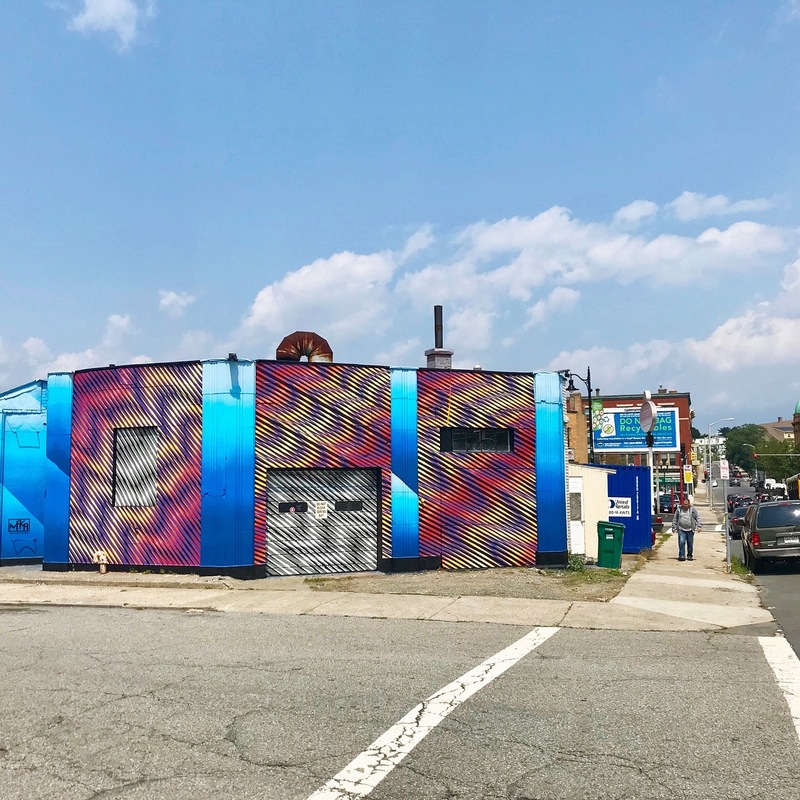 It’s been a long while since our last Streets World Roundup but we felt like sharing so here’s a look at some recent street art. 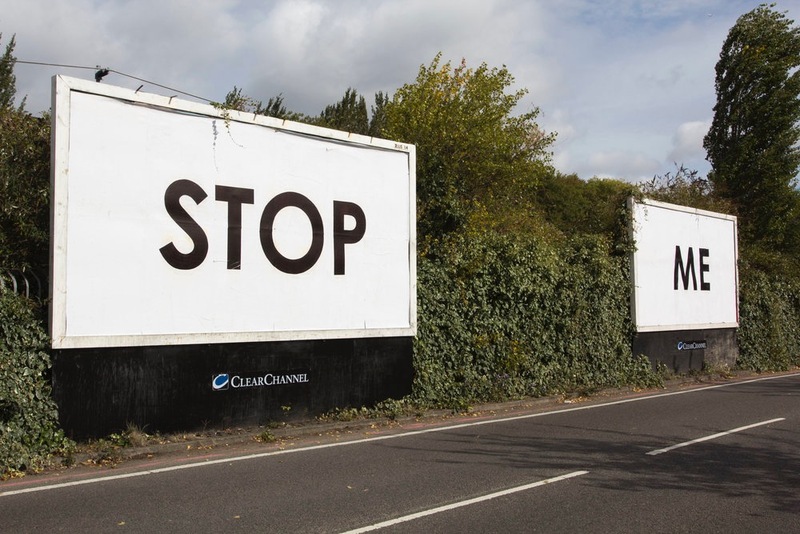 Headlining things is this clever series of handpainted sequential billboard takeovers from Mobstr (interviewed). 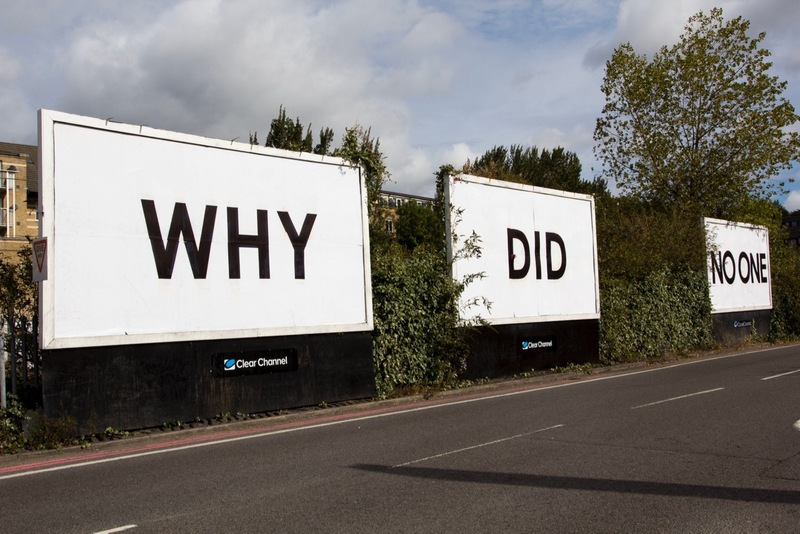 Not sure where these pieces are located, but presumably in the UK somewhere. 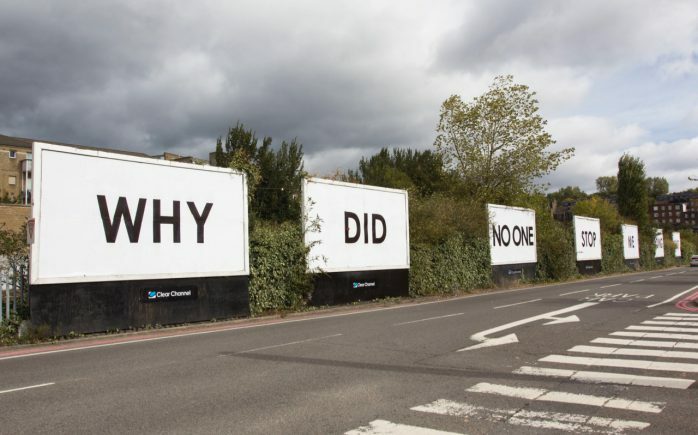 Wherever they are, the text-based work is a prime example of his wittiness, talent for placement, and minimalistic aesthetic. 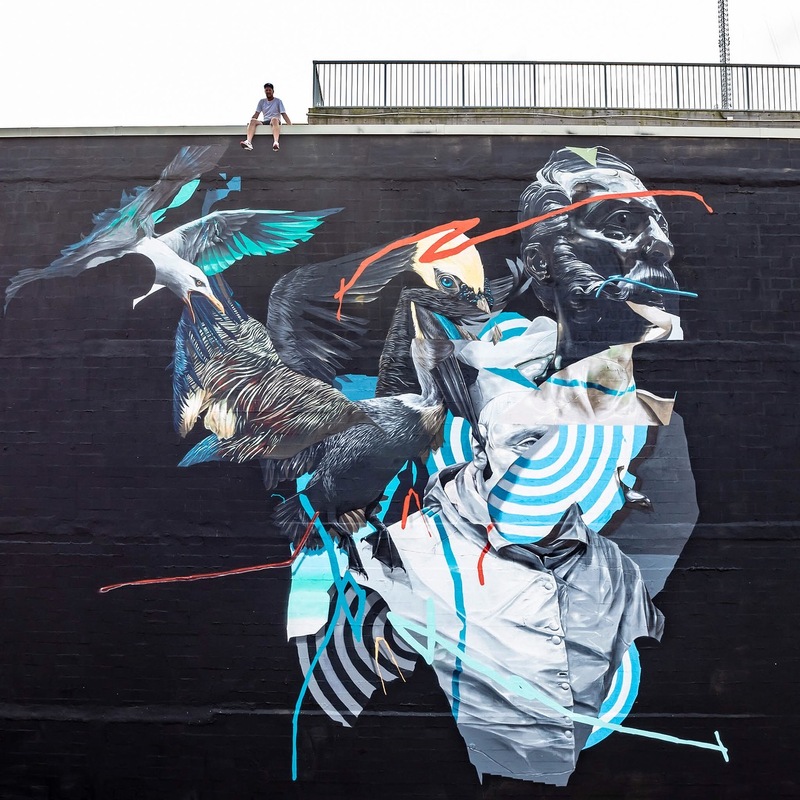 Other public art that caught our eyes last month include pieces from JR (Germany), AlfAlfA (Spain), Andrew Hem (USA), Bezt (Portugal), Joram Roukes (USA), Anthony Lister (Germany), Luke Chueh (USA), Telmo Miel (Netherlands), Ericailcane (Italy), BiP (Brazil), Michal Maka (USA), Shepard Fairey (Russia), and Mehdi Ghadyanloo (Russia). 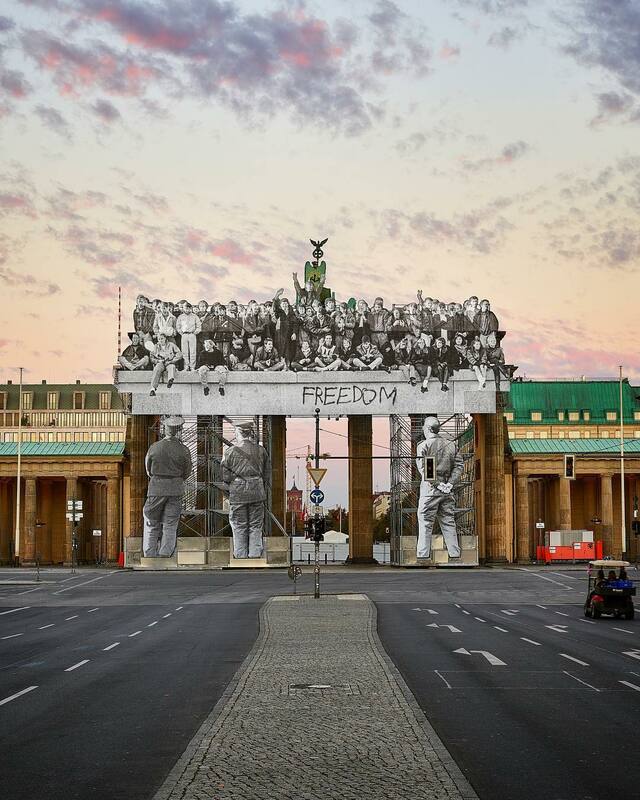 JR at the Brandenburg Gate for German National Day in Berlin. 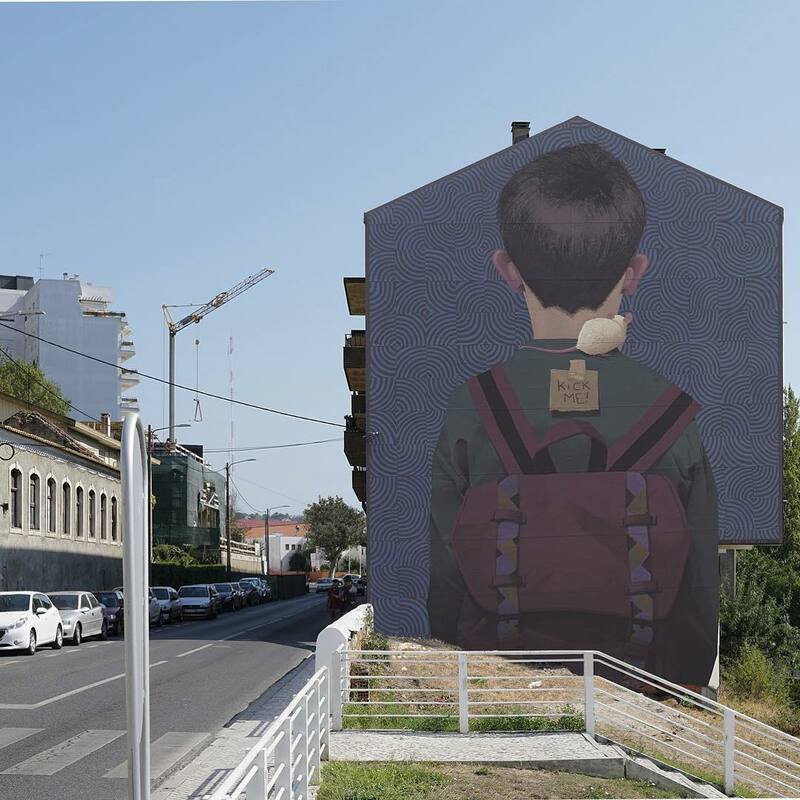 AlfAlfA in Oviedo, Spain for Paress Fest. 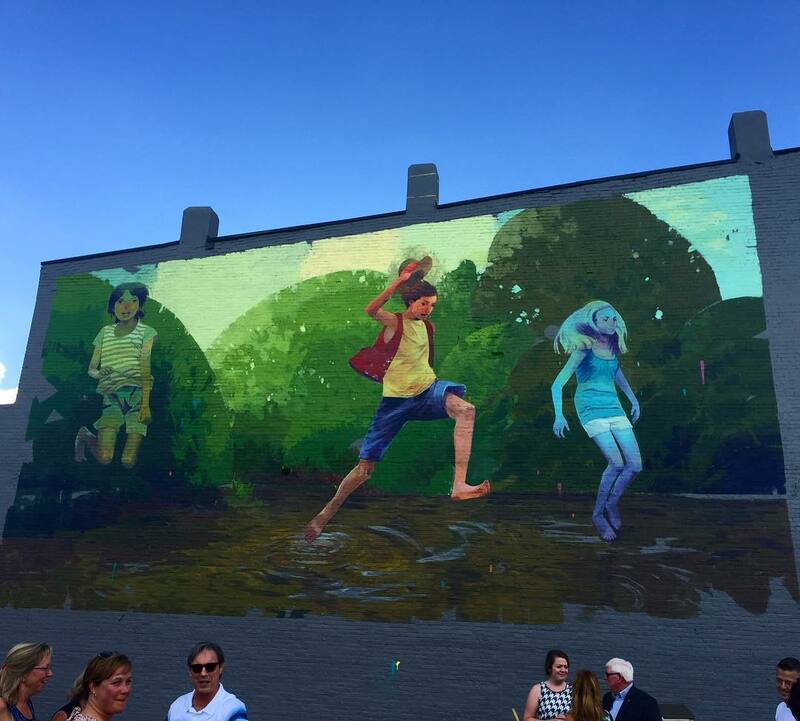 Andrew Hem in Greenfield, Indiana. 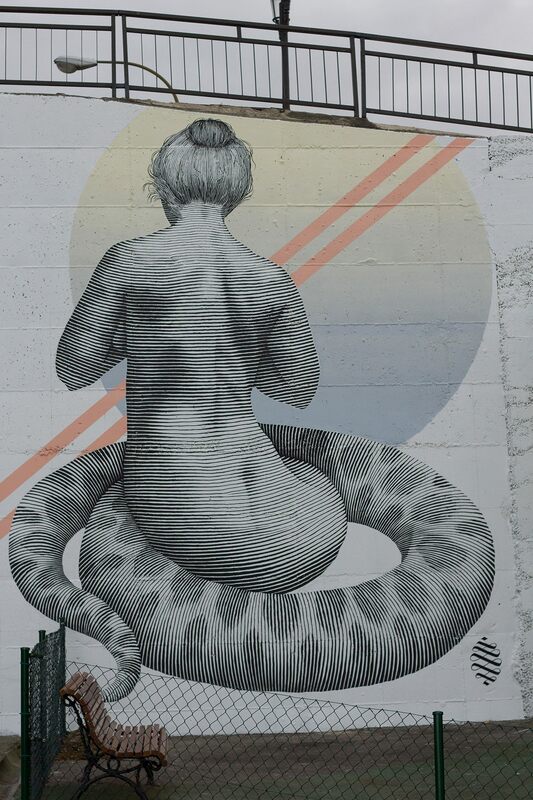 Bezt – “Kick Me” in Leiria, Portugal. 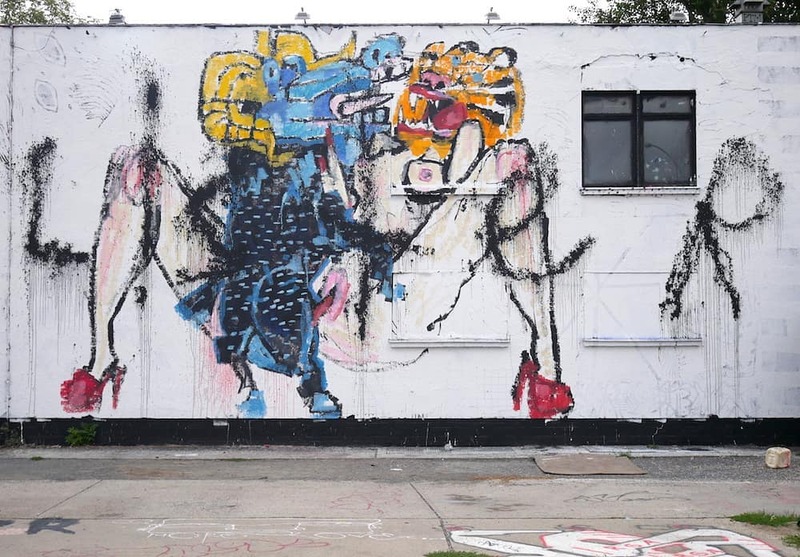 Joram Roukes in Atlanta, Georgia for OUTERSPACE PROJECT. Photo by @dvphotovideo. Anthony Lister at Urban Spree Gallery in Berlin. 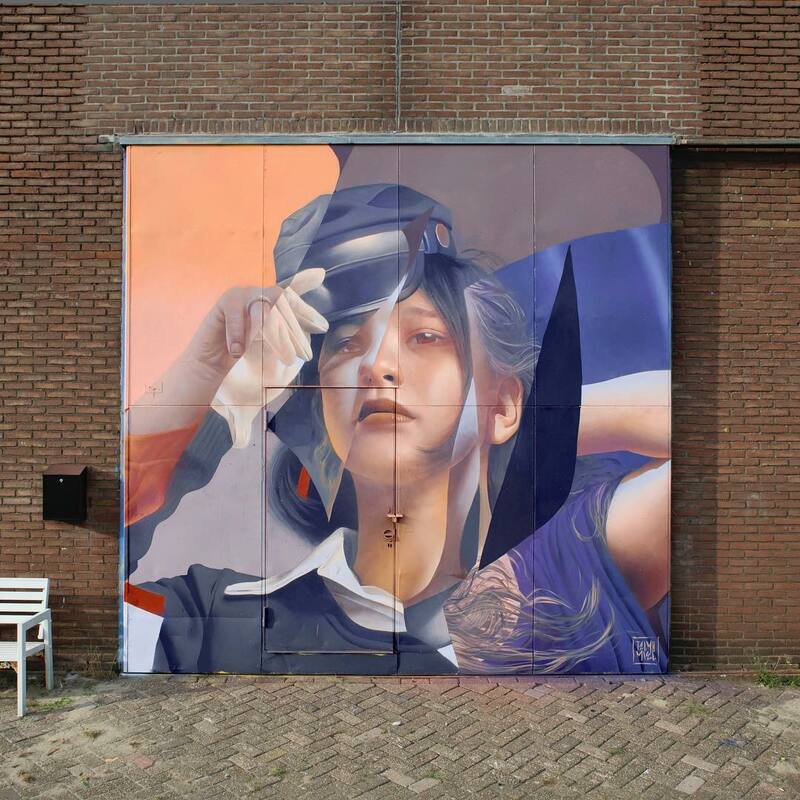 Telmo Miel for POW! WOW! Rotterdam in the Netherlands. 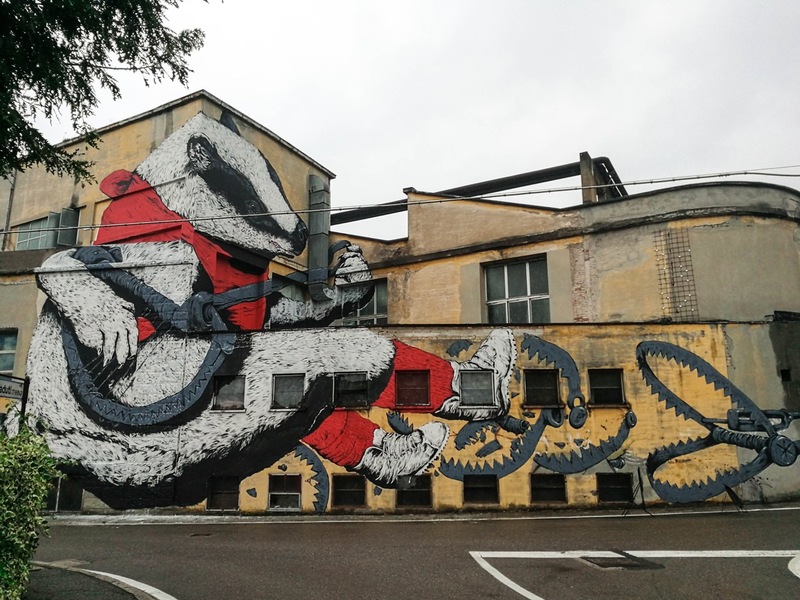 Ericailcane for the PENNELLI RIBELLI festival in Marzabotto, Italy. Photo by Bologna Stickers. 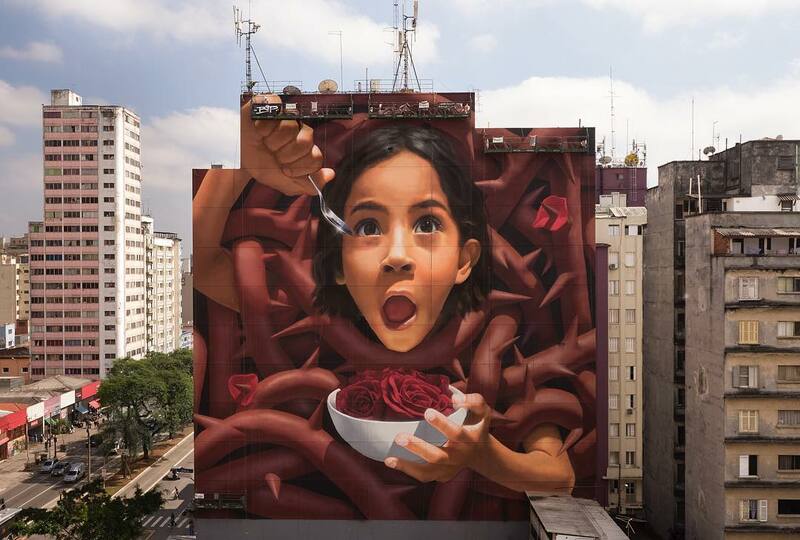 BiP in Sao Paulo, Brazil. Photo by @aka1_inthesky/@femarron. 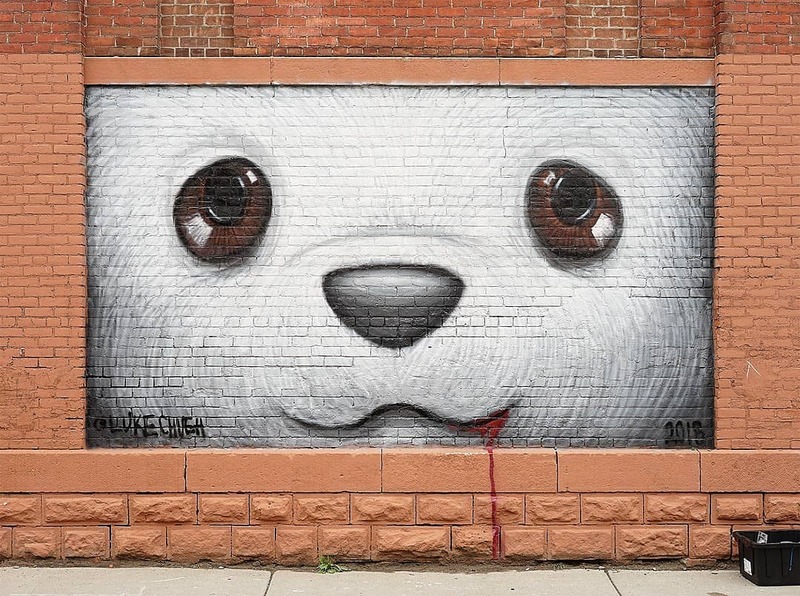 Michal Maka for Beyond Walls in Lynn, Massachusetts. 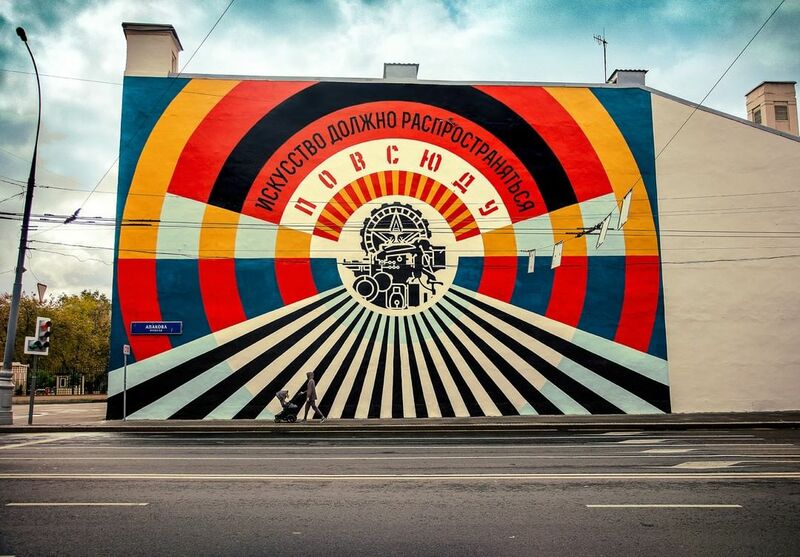 Shepard Fairey – “Tunnel Vision” in Moscow, Russia. 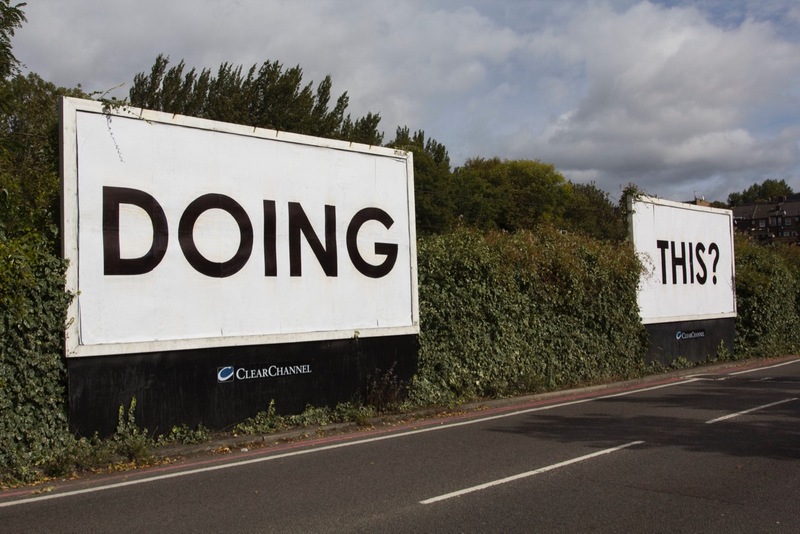 Photo Jon Furlong. 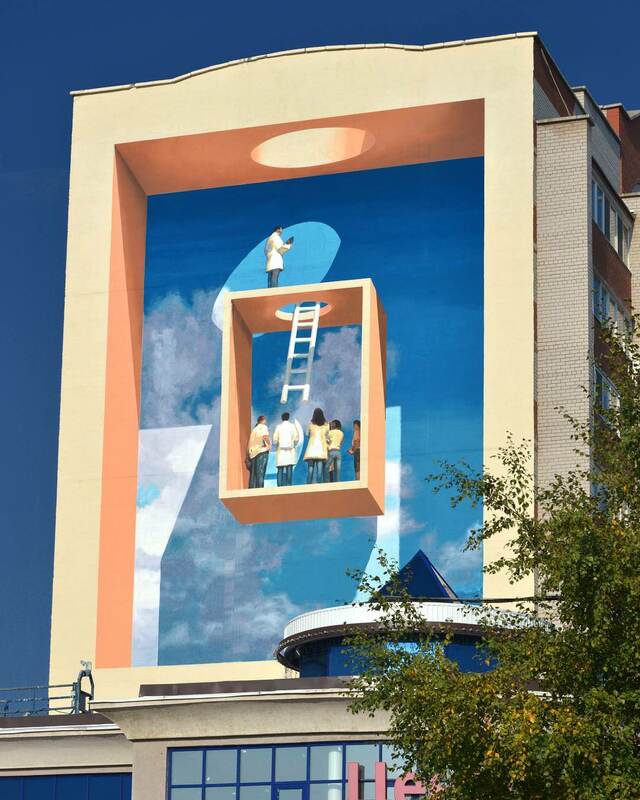 Mehdi Ghadyanloo – “Rebuilding The Sky” in Tatarsan, Russia.